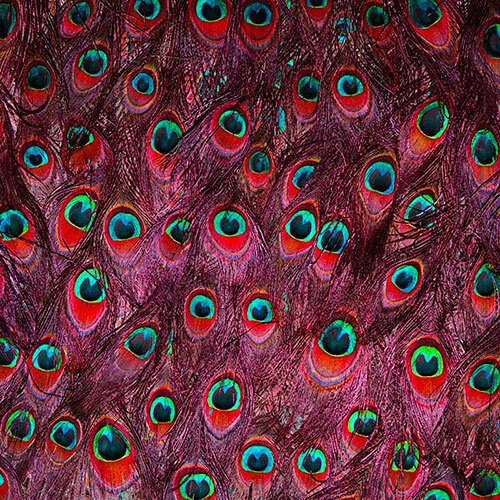 Perhaps as powerful and beautiful a collection of peacock feather "eyes" as you will ever see. Yet those eyes become hearts when worn the other way up. You decide which version you prefer. 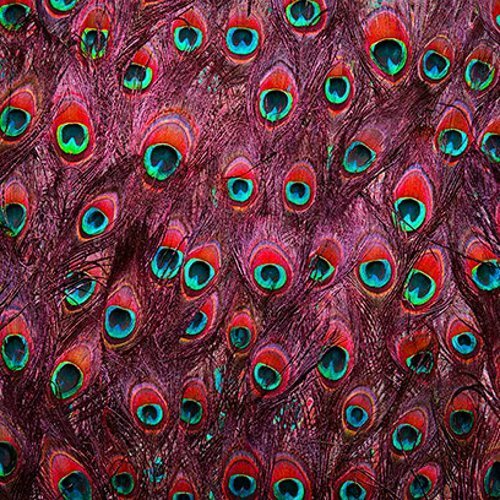 What's certain is that distinctive peacock colour actually comes from a tiny piece of turquoise. 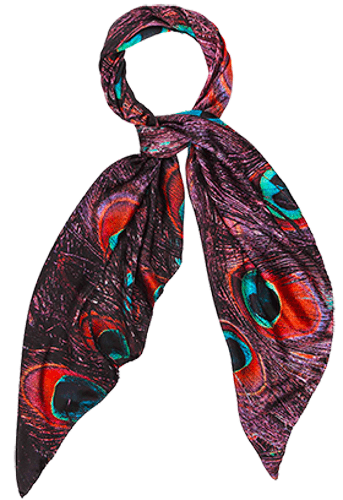 When worn, it works especially well, and people are often entranced by the scarf, and the story behind it. It was a Liberty favourite, and we think it might become a favourite of yours too.